WICHITA, Kan. - Sept. 1, 2016 – Cargill has selected Chuck Gitkin, a veteran consumer packaged goods (CPG) and meat industry marketer, to lead its North America protein business marketing efforts in a newly created role as chief marketing officer (CMO), effective Sept. 19, 2016. He will also be a member of the Cargill Protein Group’s leadership team. Cargill has selected Chuck Gitkin, a veteran consumer packaged goods (CPG) and meat industry marketer, to lead its North America protein business marketing efforts in a newly created role as chief marketing officer (CMO). Previously, Gitkin was senior vice president of brands and marketing for Smithfield Foods, a major international pork products company. His experience also includes positions with McCain Foods, Unilever, Bristol-Meyers Squibb, Saks Fifth Avenue and Philip Morris. He will leverage more than 25 years of experience, knowledge and capabilities in business-to-business and consumer marketing, market research and consumer insight, innovation, and retailing. 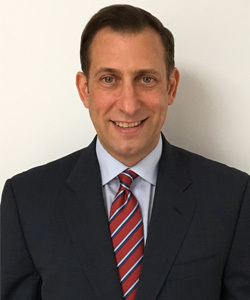 Gitkin earned his undergraduate degree from Tulane University, followed by a Master’s in Business Administration and International Business from New York University’s Stern School of Business. Cargill’s North America protein business produces lines of fresh, frozen and cooked meats, sauces, soups, case ready products, egg products, pet treats and by-products for its retail, foodservice and food manufacturing customers. The company’s consumer brands include Honeysuckle White®, Shady Brook Farms® and Honest Turkey™ products, Castle Wood Reserve™ deli meats and cheeses, Sterling Silver Premium Meats®, RUMBA®, Excel® Beef, Blackwell Angus®, Ranchers Reserve®, Angus Pride® and Genuine Texas Beef™.